Always available: With 24/7 service, we're always here when you need us—guaranteed. Always thoughtful: No messes left behind. We always use gloves, shoe covers, and drop cloths. Always on time: If we don't show up within the promised timeframe, we'll pay you $100. 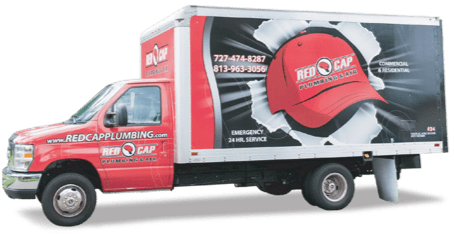 Enter our "Oldest HVAC Contest"
How can our Red Cap family help yours? Get your plumbing fixtures fixed or unclogged ASAP. Need new plumbing fixtures? We can help. Prevent a flood of plumbing problems with maintenance. “They bring the right guy with the right materials and do it right the first time." Red Cap is run by the Gennaros (try saying that 3 times fast!). Our family values carry over into everything we do—including our guarantees to you.